As you prepare for the coldest months of the year, you may be pulling out your heated blankets, flannel sheets, and readying your fireplace. Winter can be quite enjoyable from the comfort of your warm home, but what happens when your heating system unexpectedly stops working on one of the coldest days of the year? Luckily, if you live in New Jersey, our team of professionals can provide you with the expert HVAC services that you need, whether its an annual inspection, repair, or a complete replacement of your heating system. With years of experience, you can rest assured that we will get the job done correctly the very first time. Check out our website to learn more, and give us a call today to schedule your appointment! Aside from scheduling regular heating system inspections, there are a lot of things you can do to ensure that your heating system functions properly all winter long. That being said, many people take maintenance into their own hands and develop practices that end up doing more harm than good. In part one of this two-part series, we discussed a few common mistakes that people make with their heating systems. As we continue with part two, we will talk about a few more mistakes that you should avoid to make sure that your home is toasty warm all winter. Many people choose to close their curtains for the majority of the day during the winter in an effort to keep in the heat. 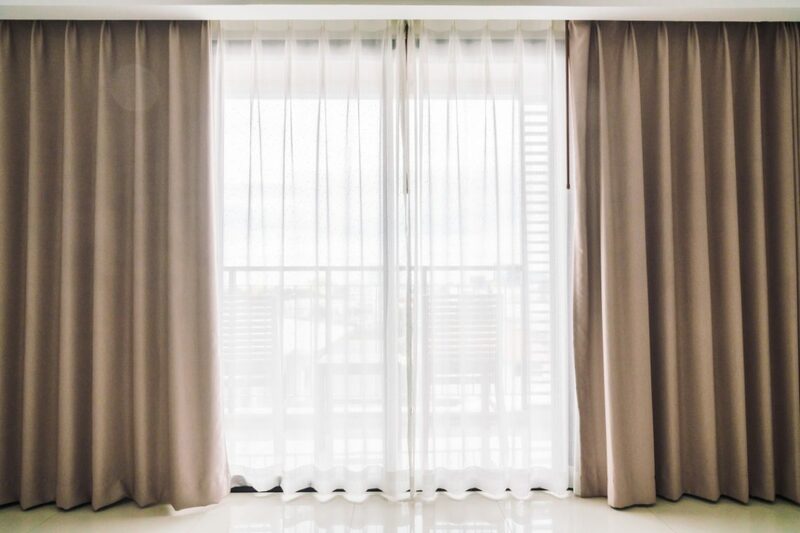 While it’s true that your windows can be a major source of heat loss — especially if you have older windows — you shouldn’t have your curtains closed all winter long. During the day, it’s a good idea to open your curtains and let the sun shine through your windows. The sun streaming through the windows acts as a natural heat source, and can actually help to heat your home. It’s no secret that your energy bill goes up during the winter because it takes more energy to heat your home than it does to cool it. With that in mind, the best way to save energy while heating your home is to keep your heating system on standby mode for as long as possible. Your heating system only uses energy when it is being used, and the rest of the time it is in standby mode until the overall temperature drops below your settings on the thermostat. When you raise the temperature on your thermostat, it will communicate with your heating system, and your home will become warmer. Keep in mind that any time you change the temperature on your thermostat, it will cause your furnace to turn on and off, which in turn, uses energy. This is where a programmable thermostat comes into play. With a programmable thermostat, you can set different temperatures throughout the day. This allows your furnace to stay in standby mode as long as possible because you aren’t changing the temperature every time you get too hot or too cold. Extremely hot settings and extremely cold settings both have the potential to cause problems for your heating system, even if they are controlled by a programmable thermostat. The goal is to keep your home at a temperature that is comfortable. While you don’t want to be shivering from the cold or piling on the blankets, you also don’t want to be sweating or walking around in shorts. Finding a balance will help you save money and ensure that your furnace functions properly. That being said, you also shouldn’t set your thermostat to an extremely low temperature at night or while you’re not home. You may think that you are saving money by keeping your furnace in standby mode, but you could cause more damage to your furnace and to other areas of your home, such as your pipes. Not to mention, once you come home or wake up in the morning, you will most likely end up raising the temperature a little too much to compensate for the lower temperature you set overnight. It’s important that you take the time to schedule routine inspections for your heating system. It’s a good idea to schedule two inspections a year — one in the spring, and one in the fall. You may think that the inspection you received in the spring is good enough to last you all year, but your HVAC contractor checks different components in the spring than they do in the fall. If you have yet to schedule your heating inspection, contact our expert HVAC contractors! We are proud to provide expert HVAC services to residents of New Jersey, and we want to ensure that your home stays warm and cozy all winter long. Give us a call today to schedule your inspection.